If you’re looking for something both fun and rewarding to do this weekend, may I suggest checking out the Mystery Trip Suitcase Party, hosted by the ILRC of Northeast Florida? I had the pleasure of attending last year during their debut of this incredible event, and I can honestly say it was some of the best fun I had last year. This year’s event takes place this Saturday, May 23 at 7:00 p.m.! 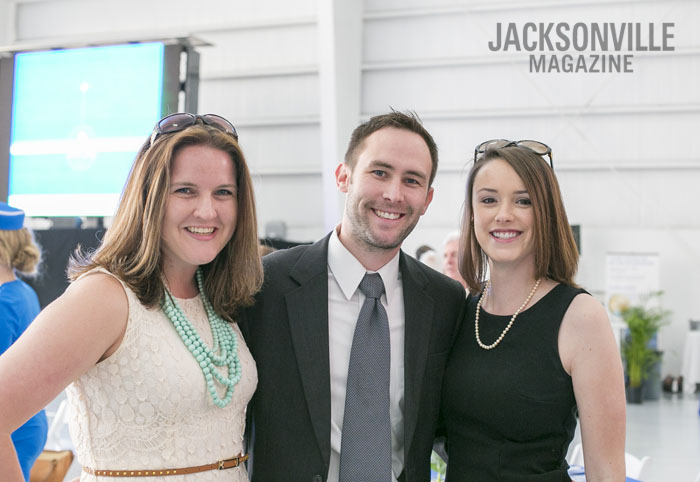 The event is held in the beautiful Malone AirCharter airplane hangar at Craig Airfield, which was decked out last year in an exhilarating tribute to the 1960s, the heyday of air travel. One of the things that makes this event so unique is that each person that attends receives the chance to win a fly-away, limo-away or yacht-away to mystery dinner locations from the venue. Two of my friends were lucky enough to enjoy some of those excursions last year – a once-in-a-lifetime experience! In addition to the chance to win an enchanting evening offsite, those who attend enjoy a scrumptious dinner prepared by the folks at Long Horn Steakhouse, live music, as well as a live and silent auction with some pretty fantastic entertainment, dining and travel prizes including a stay in Ireland! Last year, the Mystery Trip Suitcase party raised $90,000 to support people with disabilities – and every dollar raised directly supported independence and self-empowerment through a variety of programs. This year, the ILRC hopes to raise $150,000 so that they continue to expand their outreach in northeast Florida. I’ll be joining the event this year as the member of the Social Media Flight Crew so I very much hope to see you there! You can join the conversation online by following @MTSParty on Twitter and Instagram, liking their Facebook page, and by using the #MTSParty hashtag leading up to and through the event! *Corporate tables are also available, so if you’re interested, please contact Tyler Morris at (904) 327-0774 for more information.